Paul Lepore is a shift Division Chief for a fire department in Southern California. In addition to managing the emergency responses for the City, his responsibilities include managing the EMS Division, the Emergency Operations Center (EOC), and the CERT program. Chief Lepore also develops the department’s promotional and entry-level examinations. Prior to this position, Chief Lepore spent 23 years on the Long Beach Fire Department. He spent 5 years as a Battalion Chief working predominantly in the northern part of the city. He was also assigned as the Battalion Chief in charge of the EMS Division for two years. He feels very fortunate to have run some major incidents typical of a big city fire department, including working as a member of the Operations Section during the Paradise Gardens Apartments fire, the largest in the city for the past 25 years. Chief Lepore has also managed some challenging personnel issues during his tenure as a chief officer. He has written, developed and proctored numerous promotional examinations, and shares both his operational and administrative experience with others to help them achieve their promotional goals. Chief Lepore entered the fire service as a civilian Paramedic for the Los Angeles City Fire Department in 1985. After completing his education at the Los Angeles County Paramedic Training Institute, Lepore worked in the high impact area of South Central, Los Angeles. He was hired by the Long Beach Fire Department in 1986 and completed a 12-week academy. He spent the next two years working as a firefighter until he was promoted to firefighter/ paramedic. Lepore was promoted to Fire Captain in 1998 and to Battalion Chief in 2005. He took an outside Division Chief promotional exam for a neighboring department, where he was hired in 2010. Chief Lepore possesses a Master’s Degree in Public Administration and a Bachelor’s Degree in Vocational Education from California State University, Long Beach. He also earned an AS degree in Fire Science from Santa Ana College. 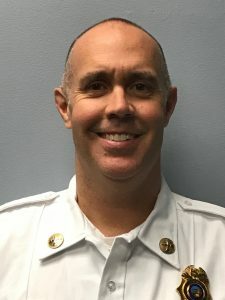 Lepore has conducted hundreds of entry-level interviews, as well as served as a rater for dozens of Battalion Chief and Captain’s promotional exams. He holds instructor credentials for EMT, Hazardous Materials and Weapons of Mass Destruction. He has presented to local and national audiences at Firehouse World in San Diego and Las Vegas, the CSFA Conference in Long Beach, as well as the Northern California Training Officer’s conference. Presentation topics include Tactics and Strategy, Promoting in the Fire Service, and Formulating a Plan to Promote. He has also conducted numerous seminars to teach and mentor entry-level candidates. Chief Lepore and his wife founded EMS Safety Services, a corporation which provides emergency response training programs, and sells quality, cost-effective emergency response products. Lepore and his lovely wife Marian have two daughters, Ashley and Samantha, and two granddaughters. As an avid saltwater fisherman he has also written a book titled, “Sport Fishing in Baja”. In 2014, Chief Lepore was recognized as a Certified Chief Officer through the National Center for Public Safety Excellence. He is one of only 200 Chief Officers in the country to receive this highly acclaimed designation. Chuck Fedak is currently a Battalion Chief with the Orange County Fire Authority, one of the largest fire departments in California. 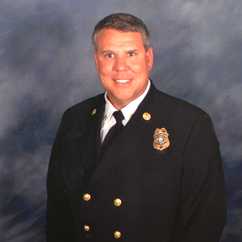 He began his fire service career in 1995 as a paid-call firefighter and completed paramedic school and graduated from Daniel Freeman as the class Valedictorian in 1997. He worked as a private paramedic in the South Bay area of Los Angeles County and as a flight paramedic until he was hired full-time in 1999. He held the ranks of Firefighter/Paramedic, Engineer/Paramedic and Captain/Paramedic. Chief Fedak has earned a Bachelor’s of Science Degree in Health Care from California State University, Long Beach and a vocational teaching credential from California State University, San Diego. He also earned an AA degree in Communication from Golden West College and an AS degree in Fire Science from Santa Ana College. He is also a certified SFM Chief Officer. He has been selected to participate on following committees and project teams: Emergency Medical Services, apparatus and personnel equipment, SOP revision, and the computer Aided Dispatch process. Chief Fedak recently completed an assignment as a Fire Captain in the Emergency Medical Services section. He has also completed a tour in the Operations Training & Safety Section of the department where he served as a department Fire Training and Safety Officer. He developed and was the lead instructor for the Fire Captain Promotional Preparation class to train and prepare departmental members for fire department promotional exams and to be ready to assume the position of Fire Officer. Chief Fedak was the coordinator for the Fire Captain training academy and also instructed in a variety of course topics. He has written, developed and has had multiple proposals implemented within the department including the purchase of new equipment, department training classes and a new format to conduct and deliver after department-wide after action incident reviews. Chief Fedak has participated in Captain and Battalion Chief promotional exams development within and outside of his current fire department. He has helped develop components of the assessment center portion of the promotional exam process. He continues to help train, mentor and educate members of the fire service to be successful not in just the promotional process BUT for the supervisory position they aspire to achieve. He has instructed at the State level on Emergency All-Risk Simulations, Tactics and Strategy, Conflict Resolution, and Employee Personnel Issues. Chuck is married to his wife Jessica and they have two boys, Tyler and Garrett. Away from the job he enjoys outdoor activities and spending time out on the ocean fishing.